We will be holding an information session on January 22 for our exciting NEW field school opportunity to Saint Pierre et Miquelon, France. This opportunity is open to all intermediate and higher level French students. A MINOR IN FRENCH is the ideal way to enhance your degree and expand your career options. Choose from one of our three Minor options. Contact us for further details. The French Department is excited to offer a new three-week field school program in Saint-Pierre and Miquelon! Literature, language, culture, linguistics and more. Our dedicated faculty offer a wide range of expertise. We take pride in the achievements of our students. Congratulations to all of this year’s award receipients. Take advantage of free tutoring. Staffed primarily by native French speakers, this valuable resource is available to all undergraduate students studying French. 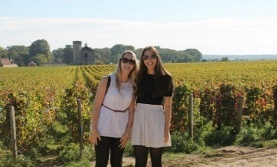 Enjoy an exciting semester of study abroad at the Université de Bourgogne in Dijon, France. This program is open to all students. The department offers a wide range of classes in French language, literature, culture, and linguistics. We provide faculty expertise and resources at both the undergraduate and graduate levels. Our programs offer a strong linguistics component and a broad choice of language, cultural, and literary courses. We are also the only university in Atlantic Canada to offer degrees in French up to the doctoral level. 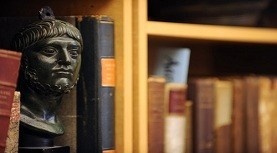 The department is home to a number of scholarly journals and publications including Dalhousie French Studies, Belphégor, and Initiales. Take part in an exciting semester (or year) of study abroad in Dijon, France, and earn credits while immersing yourself in French language and culture. This program is open to all students and is the perfect setting to learn French or strengthen your language skills. Learn more about our Dijon program.